BB&T’s $28 bln offer for SunTrust is the largest bank deal in a decade and the first to create a new lender regulators regard as systemically important. It should please investors on both sides – so long as the banks don’t take their eye off the digital-banking ball. 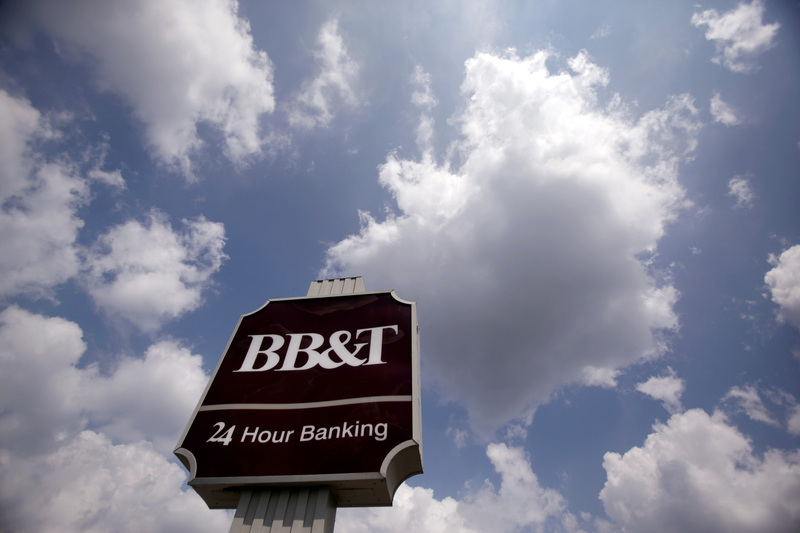 A BB&T bank branch sign is seen in Arlington, Virginia, August 14, 2009. BB&T and SunTrust Banks on Feb. 7 said they had agreed to merge in an all-stock deal valuing the combined bank at $66 billion. With some $441 billion in assets and $319 billion in deposits, the enlarged lender would be the sixth-largest U.S. bank, just behind U.S. Bancorp. It would rank fifth by total loans, with $301 billion. BB&T, based in Winston-Salem, is offering $28 billion for SunTrust, a 7 percent premium to its closing price on Feb. 6. SunTrust’s common stockholders will receive just under 1.3 shares in BB&T for each share of the Atlanta-based bank, and will own 43 percent of the combined institution. Board seats will be divided equally between directors of both banks. The two expect to cut $1.6 billion in annual non-interest expenses by 2022 and will spend $2 billion on integration costs. BB&T Chairman and Chief Executive Kelly King will run the merged bank until September 2021. He will then become executive chairman until March 2022. SunTrust Chief Executive William Rogers will become president and chief operating officer once the merger closes, succeed King as CEO in 2021 and add the chairman’s title in 2022.